Betty Jean (Dreibelbis) Litwhiler, 87, of rural Benton (Derrs), died Wednesday afternoon, January 23rd, 2019 at Geisinger Medical Center following a brief illness. Born April 7, 1931 in Conyngham, Luzerne County, she was a daughter of the late Stuart and Catherine (Shultz) Dreibelbis. She and her beloved husband, Charles W. Litwhiler, celebrated their 68th wedding anniversary on October 8th. Mrs. Litwhiler was a 1949 graduate of Millville High School. She had worked in the family business, L & K Mills, Inc., in Benton for many years where she was the Secretary/Treasurer until the mill was sold in September 2014. She was a very active member of Jackson Baptist Church, Derrs where she served as Church Treasurer for more than 30 years. Mrs. Litwhiler and her husband loved to square dance and were members of the Friendship Squares. She was also a member of the Benton Rodeo Association and had assisted with the annual rodeos and the Benton Carnival for many years. 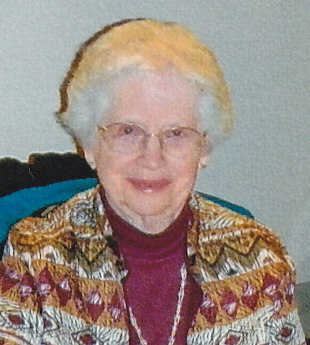 She enjoyed being a homemaker and enjoyed cross-stitching, crocheting, playing the organ and card games. Surviving, in addition to her husband, Charles, are her three children: Larry E. Litwhiler and his wife, Bev, of Benton; LeDell Neufer and her husband, Tim, of Berwick; Catherine Morgan and her husband, Bill, of Dover, Ohio; ten grandchildren; ten great grandchildren and a sister, Ruth Ellen Beyer, of Audubon, PA. Along with her parents, she was preceded in death by two sons: Richard L. Litwhiler on January 29, 2013 and Charles Daniel Litwhiler, on November 23, 2016 and by a grandson, Christopher A. Litwhiler on September 27, 2007. Funeral Services will be held Monday, January 28th, 2019 at 12 Noon at the McMichael Funeral Home, Inc., 4394 Red Rock Road, Benton, with the Rev. Walter E. Minto, Jr., her Pastor, officiating. Burial will be in the Millville Cemetery. A Viewing will be held Monday from 10:30 AM until the time of the service at noon. In lieu of flowers, contributions may be made in her memory to the Jackson Baptist Church, 353 Derrs Road, Benton, PA 17814. The McMichael Funeral Home, Inc., of Benton, is honored to serve the Litwhiler Family. For online condolences or for additional information, please visit: www.mcmichaelfuneralhome.com.